Another Democrat has declared her candidacy for Montana's seat in the U.S. House. "My name is Kathleen Williams. I'm pleased and honored to formally announce my candidacy for the U.S. Congress." Kathleen Williams made the announcement at a restaurant in Bozeman Thursday. She represented Bozeman and eastern Gallatin County in the Montana House of Representatives for three terms from 2011 through the 2015 legislative session. 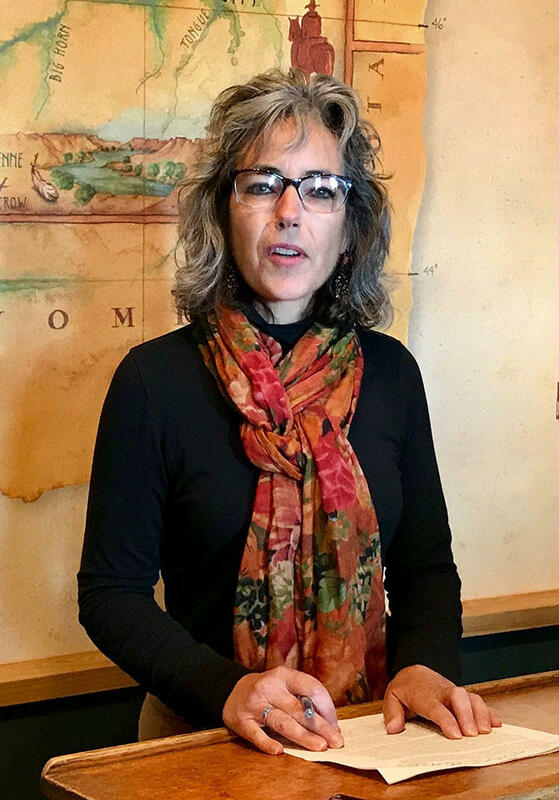 Kathleen Williams announces her candidacy for Montana's U.S. House seat at a restaurant in Bozeman, October 26, 2017. She has a bachelor's in economics, a master's in Recreation resources and has worked for the U.S. Forest Service, Montana Fish, Wildlife and Parks and as an environmental policy researcher for the Montana Legislature. Williams is now the fifth Democrat to vie for her party's nomination to defeat Republican Representative Greg Gianforte. "Between the values, the experience and the breadth of my work and accomplishments, I'm just incredibly competitive against Gianforte in November. So I'm hoping that those who are voting on the Democratic ballot really do think ahead to November," Williams said. The other Democratic candidates are former state legislators Lynda Borque Moss and Tom Woods, former Five Valley Land Trust Director Grant Kier, and Billings Attorney John Heenan. An executive board member of the Gallatin County Republican Women has resigned after telling the host of a statewide radio program she would have shot the reporter Republican Congressman Greg Gianforte assaulted this spring. One Democrat hoping to unseat Republican Congressman Greg Gianforte next fall has an early lead in his campaign bankroll, according to the latest federal finance documents. John Heenan, an attorney from Billings, has so far raised more than $325,000, nearly a third of that money coming from a loan from the candidate to his campaign. Heenan was the first Democrat to jump into the race against Gianforte, and has released several campaign videos since his campaign kickoff in August. MTPR News Director Eric Whitney: On Monday we took a look at the race for Montana's senate seat that's up in 2018. On Tuesday David Parker is back to talk about the 2018 House race. Parker is a political science professor at Montana State University. David Parker, thanks for joining us on Montana Public Radio. On Tuesday, congressional hopeful Grant Kier became the second challenger in the race for the Democratic nomination to challenge Republicans for Montana’s lone U.S. House seat in 2018. Kier, a Missoula resident, made the announcement to a crowd of about 80 at the newly-built Kettlehouse Amphitheatre in Bonner. HELENA, Mont. (AP) — An attorney on Monday announced a bid to unseat newly elected U.S. Rep. Greg Gianforte in next year's midterm race, becoming the first Democrat to establish a campaign committee to take on the Republican who attacked a reporter the day before a special election. John Heenan of Billings said he would use his experience as a consumer protection lawyer to advocate for Montana residents, including working to increase access to "quality, affordable health care." 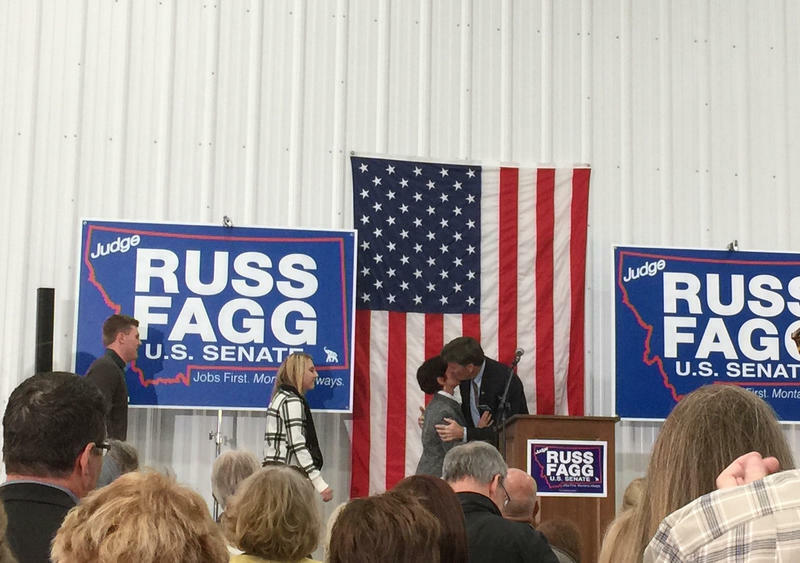 Retired state district judge Russ Fagg made it official: he’s a Republican candidate for the U.S. Senate. The announcement comes after a 4 month exploratory effort that Democrats have called a stealth campaign. "I love the people of the state," says Fagg, standing on a flatbed trailer parked in a helicopter hanger at Billings Flying Service. "I love the natural beauty of the state and so tonight for the very first time I am publicly announcing that I am going to run for the U.S. Senate."